What every work place should have! Copy & paste your way to success in English. Magnificent mails, trouble free telephone calls, powerful presentations and spectacular small talk. – Learn & improve as you go. 70+ original ’speak/write like a native‘, grammar & internet resource posts. 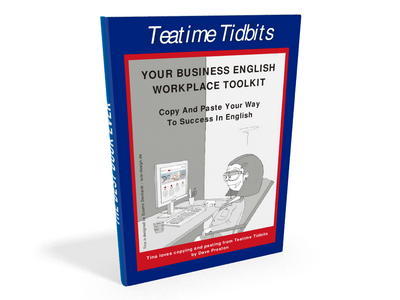 Get the Workplace English Toolkit today for just €19.99. P.S. Get it, then spread it. “It has become my companion in the office. I use it practically every day.” Thomas P.
Here you find everything you need to deal with your daily working life at first hand. No beating around the bush, instead WET shows you how to cope with different ways of communication and also differentiates between hierarchy levels. WET is easy to work through, you find what you need in a second which is especially perfect for cases of emergency like an unexpected phone call from abroad. All topics and situations from easy to challenging are covered and the book provides a perfect mix of copy/paste sections, tutorials, and tricks as well as entertaining parts. You do not have to go through long text passages to find the one sentence you were looking for. A clear and simple layout was chosen instead and thus this is a tool you will love to come back to and it will not – like most of the other books – end up as dust catcher in your shelf. What I also like is the fact that it is written in English and German occurs only where necessary and useful. This should not be worth mentioning, actually, but there are other authors that want to teach us English while using German most of the time. So, Dave Preston’s way makes perfect sense and is what I prefer. 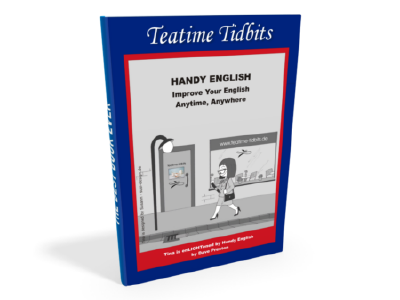 I can recommend this book unconditionally to both beginners and advanced learners and I am sure, even native speakers will find some good tips and inspiration – it will make your life so much easier and business English will definitely become your friend if it has not already been. The book’s name is programme: it is a toolkit with focus on the readers’ needs. You can feel the heart, experience and knowledge Dave Preston put into it and besides learning something it is also fun to read; education and entertainment in perfect combination. So, thanks to WET there will not be any sleepless nights prior to a scheduled meeting with English clients anymore. Instead you will look forward to applying your newly acquired skills and impressing your audience with self-confidence while talking English.